Re-print! Ignored by the masses, loved by the underground, never simple always unique. For many years now they're considered to be th cult group of Flanders & after 5 years of silence around the band, it's time to write another chapter in the big Aroma-book.On their first release in 16 (!) years, the history of theband is being captured in 47 tracks. Carried by a deep bass, typical cold new wave drums, biting guitar riffs and a shamanic voice they make about the most original music of their generation. 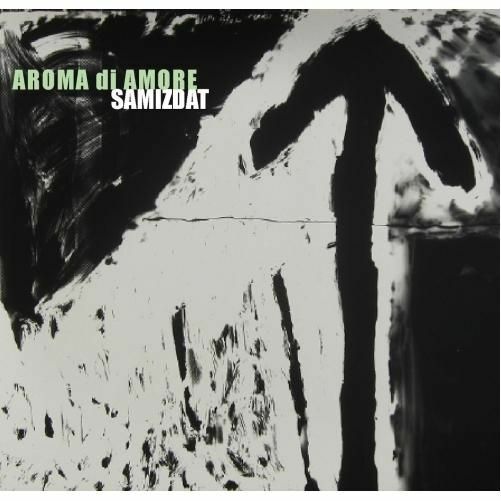 Aroma di Amore makes subtle as well as raw songswith the occasional flavor of absolute madness. 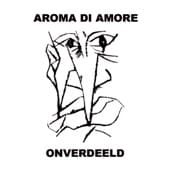 The double disc set "Onverdeeld" is an anthology of more than a quarter century of musical output. The two discs contain almost all of the tracks that ever appeared on LP, completed by a few live-tracks and 4 unreleased songs. The booklet of 16 pages immerses you in the smell of love. With pictures by Eric Didden, an extensive biography and the extraordinary lyrics by Elvis Peeters.